Mobile operator’s basic strategy is coverage of both urban and rural areas. In contrast to the “island” strategy followed by some companies, which involves connecting isolated islands of urban coverage through transmission links, they builds continuous coverage, cell after cell. While the intensity of coverage may vary from area to area depending on market conditions, the basic strategy of cell-to-cell coverage is applied throughout mobile network. 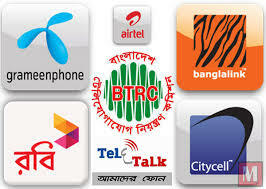 They have a dual purpose to receive an economic return on its investments and to contribute to the economic development of Bangladesh where telecommunications can play a critical role. The people who are making it happen – the employees – are young, dedicated and energetic. All of them are well educated at home or abroad, with both sexes (genders) and minority groups in Bangladesh being well represented. They know in their hearts that mobile is more than just about phones. This sense of purpose gives them the dedication and the drive, producing – in about three years – the biggest coverage and subscriber-base in the country. Mobile operator’s knows that the talents and energy of its employees are critical to its operation and treats them accordingly. Mobile operator’s Global System for Mobile or GSM technology is the most widely accepted digital system in the world, currently used by over 300 million people in our country. GSM brings the most advanced developments in cellular technology at a reasonable cost by spurring severe competition among manufacturers and driving down the cost of equipment. Thus consumers get the best for the least. Mobile operator’s believes in service, a service that leads to good business and good development. Telephony helps people work together, raising their productivity. This gain in productivity is development, which in turn enables them to afford a telephone service, generating a good business. Thus development and business go together. By bringing electronic connectivity to rural Bangladesh, Mobile operator’s is delivering the digital revolution to the doorsteps of the poor and unconnected. By being able to connect to urban areas or even to foreign countries, a whole new world of opportunity is opening up for the villagers in Bangladesh. Grameen Bank borrowers who provide the services are uplifting themselves economically through a new means of income generation while at the same time providing valuable phone service to their fellow villagers. The telephone is a weapon against poverty.